In a game of two halves, both Chennaiyin and Kerala Blasters had few chances to get on the scoresheet. 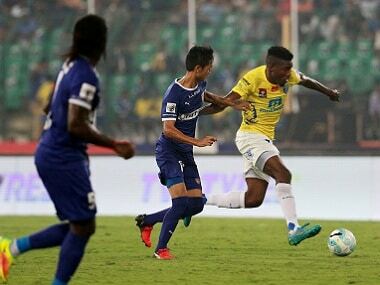 In the second minute, Dudu Omabgbemy had a wonderful to chance to put the hosts ahead, but Kerala goalkeeper Sandip Nandy was at hand to parry the shot for a corner. At the other end, the first meaningful work from Chennaiyin goalkeeper Karanjit Singh came only by the 20th minute, when he calmly collected a cross. The best chance of the first half, however, fell to Bernard Mendy, in the 27th minute. 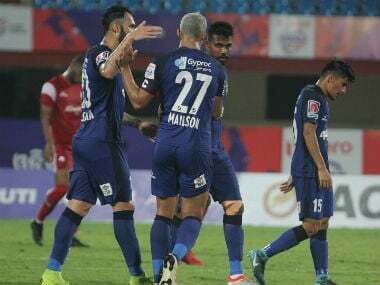 Mendy, who was up front for a series of corners after sustained pressure from Chennaiyin, found the ball at his feet after Baljit Sahni's cross was headed away. But with space and time in the penalty area, Mendy could still only find the side netting, as the crowd on the near side erupted with joy thinking it was a goal. Kerala's best chance came in the second half, when Mendy tried to put the ball out of play, but meekly passed to Mohammed Rafique. The Keralite sent the ball across the face of goal and found the incisive run of Kervens Belfort, only for him to shoot wide with a gaping goal in front. With only four shots on target from a total of 14 taken by both sides, the radar of strikers from both sides was well off. 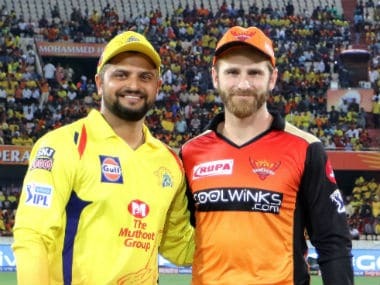 From the very beginning, the game saw a lot of scrappiness: There would be a brilliant run, but a poor final ball would undo the effort; a brilliant pass with nobody at the end of it. This pattern occurred throughout the match, with both teams contributing to it. A 70 percent passing accuracy from the hosts and 67 percent from Kerala Blasters clearly underlines the issue. 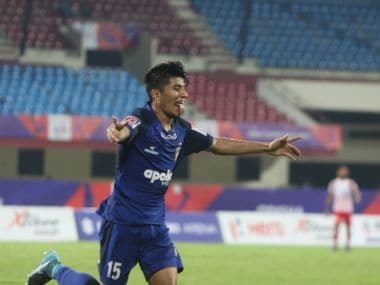 Responding to a question from Firstpost, Chennaiyin manager Marco Materazzi admitted that Hans Mulder's substitution changed the game for his team. The midfielder was forced off due to an injury, and the hosts, who had until then tried to use a direct approach and tried to string passes together, started hitting long balls from the back for David Succi and Dudu to chase down. Kerala, on the other hand, had crosses coming in from the left and right, but barely anyone even tried to reach them. The second half was much better for the visitors, who had the better chances, but couldn't put the game to bed with a goal. Kerala manager Stephen Coppell agreed, saying, "We had a terrible first half. I was happy when the first half whistle came, so that I can have a few words with the lads." For the Chennaiyin FC, Siam Hanghal was a shining star. He had more freedom after Mulder's substitution and often stepped up to leave Manuele Blasi to screen the defence. Twice — once in the 10th minute and again five minutes from time — he lost possession, but chased down the ball and recovered it for the hosts. The desire at both ends of the game was heartening to see, and he even took a couple of shots on the goal, but both went well wide. For the visitors, substitute Duckens Nazon impressed in a short stint. In the 27 minutes he played, he provided a lot of energy and desire to help set up his fellow striker Belfort for a couple of chances. He himself took a couple of shots, which were also the only shots on target for Kerala. With nine points apiece, both teams lie in the middle of the table, with Chennaiyin having a game in hand. Both teams will play another four matches at home, and will be keen to utilise them to the maximum. But a lot has to be improved upon for them to make a difference.